Students at the University of Kansas were obviously pretty pumped that the Royals won the World Series last night. So pumped that they decided to tear down the goalposts in Memorial Stadium and toss them in a lake. 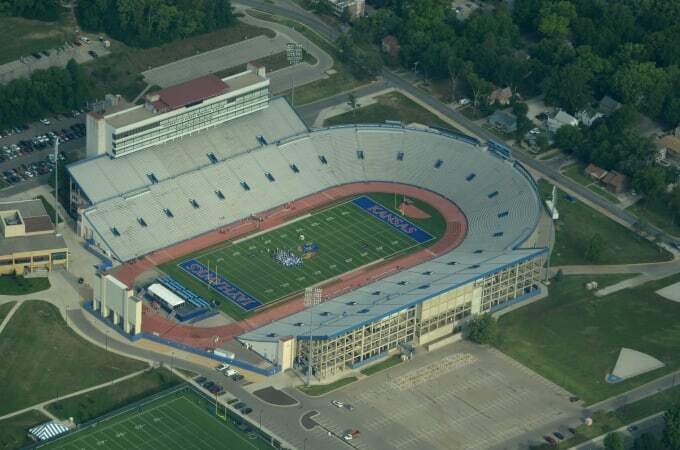 According to the Lawrence Journal-World, multiple individuals, who are suspected to be students, broke their way into the home of Jayhawks football and "took down a football goal post and tossed it into Potter Lake." Police say the individuals did more than $10,000 in damage. Workers were busy putting up new goalposts this morning.